Hire a canoe & explore the River Severn around Shrewsbury. Our canoes are perfect for group and family outings with a difference, for all abilities. 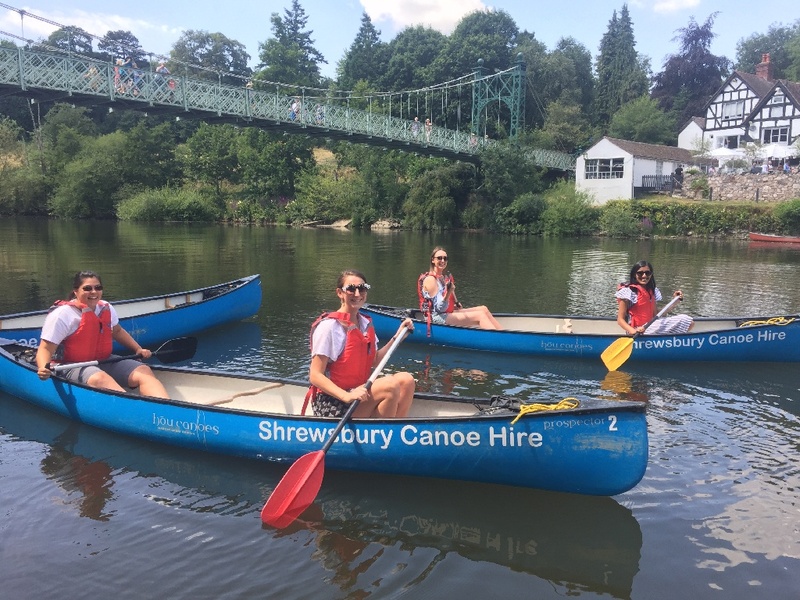 Shrewsbury Canoe Hire only uses experienced and qualified coaches & guides, ensuring the highest standards of safety, and your full enjoyment of this very special river experience. Group and individual private coaching sessions are also available. As the fine summer evenings start to stretch out we also offer relaxing evening trips, drinking in some of the town’s historic features such as Charles Darwin’s Childhood Garden, and then transporting you into the unique tranquil surroundings, flora and fauna of the Shropshire countryside. We also offer a range of bespoke bookings for Day Trips and Adventure Trips.